NOTE: This content is old - Published: Thursday, Feb 7th, 2013. Members of the Council’s Employment, Business and Investment Scrutiny Committee met last night to discuss a report about the future of the three indoor markets in the town centre. There are currently 109 stalls based across all of the indoor markets in Wrexham, employing 250 people. However the council have said that occupancy levels of the markets have dropped from 90% in 2007, to around 70%. At the start of the meeting the committee confirmed that there were no plans to remove any of the markets and that none of them were under threat. This is contrary to reports that have appeared in the local press earlier on this week. Councillors agreed that the markets add diversity to the town and that the three markets need to exist, even if the make up of the markets is subject to alteration. The meeting was open to members of the public, and featured representatives from the People’s Market, the Butchers’ Market and the General Market who were there to voice their opinions on the situation. Rachel Prince who works at ‘Snip n Tuck’ in the General Market said that the market is a “really happy family and customers love the personal service we give”. Mike Evans from the Butchers’ Market said “The markets are in desperate need for investment, this can be done via reinvestment of the surplus service charge and rents over the years. The markets needs leadership, it needs a manager who is diverse and dynamic enough to push it forward”. The main discussion of the evening surrounded what could be done to change the aesthetic appearance of the markets, particularly with regards to the People’s Market. This involved discussion on the lighting of the market, the entrances, central events floors and arts and crafts which could all generate footfall to the area. David Taylor said “There has to be some sort of reinvention to move forwards. 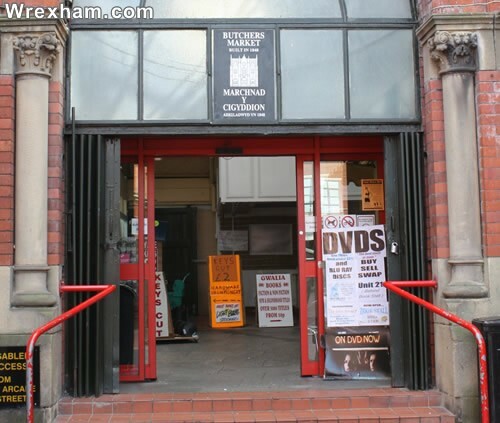 The stalls are old and need replacing with the style in the Butchers’ Market”. Mike Mullen from the People’s Market said, “Our priority is the recruitment of new traders, however if I was a new trader I would be saying thanks but no thanks as the appearance is diabolical. The stalls are antiquated and changes need to be done rather urgently. There is the urgent matter of the cleanliness of the market, we have an ongoing problem with this. We have a market manager system and team who are not working as a team, we believe this is being handled internally and look forward to improvements’. One of the suggestions to improve the market situation was to increase the levels of footfall and custom. Since the closure of TJ Hughes in 2011, all three markets have suffered a decline in trading. The shop which provided a gateway through to the markets has remained since remained vacant. When asked if the council have any plans for the shop, or could enact a compulsory purchase order, Isobel Garner, Town Centre Manager, said “The building is in the hands of the administrators, not the property owners. Nothing can be done until it is out of administration.” Cllr Alun Jenkins pointed out that the planning permission for the store did specify a link ought to be preserved. Another potential to increase footfall would be to move the outdoor Monday market to Chester Street, generating custom for all four of the markets. However due to the width of the roads and the use of the street as a transport link, the meeting was told this option is not viable. Suggestions to improve the promotion of the markets involved local chain businesses (such as Marks and Spencers and Sainsbury’s) advertising the markets, alongside embracing the internet for advertising their businesses, rather than seeing it as an enemy. One strong message from the market traders countered the notion that the Council was subsiding the markets, with several pointing out that the service charges create a surplus and that the markets themselves are self sufficient. “Add more money by all means, but to say that the council have been subsiding it is not true”. Cllr Wynn said that the meeting was the start of the process of planning and enacting investment and improvements, and added “It is clear the leader of the council has made a big commitment to make this happen”. The Committee agreed to principles including the retention of three markets, and are due to create a ‘task and finish group’ which will work further with market traders to create a fuller strategy document which will create a firm plan of action.